The Macaron Tower has 10 tiers, but you can put as many or little as you want on them. 50-100 macarons is $2.20 each, 100-150 is $2.10 each, 150 or more is $2.00 each. There is a $60 deposit on the towers as they need to be returned. 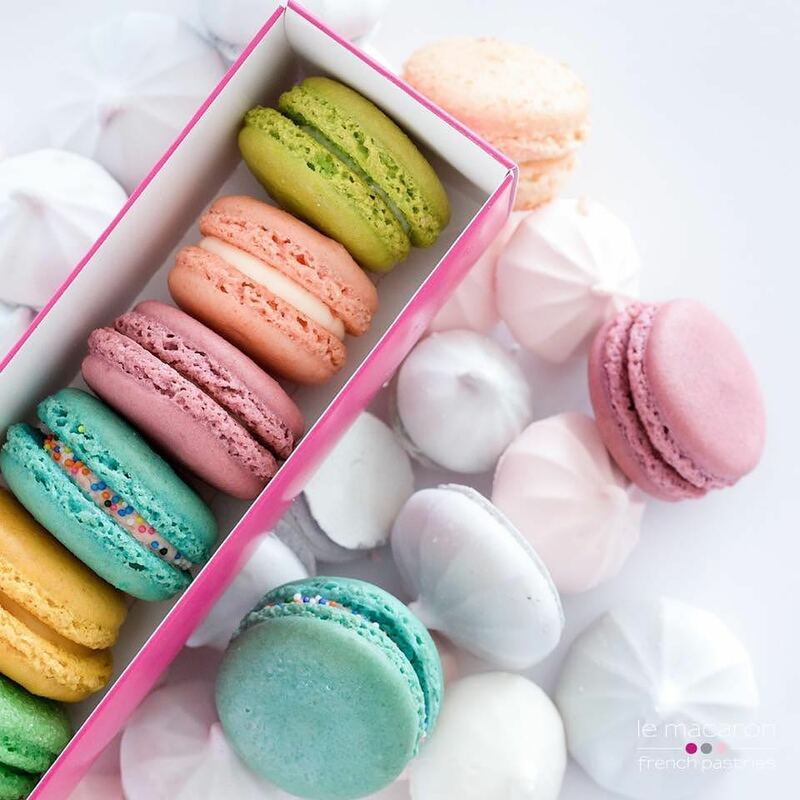 Orders can be picked up at Le Macaron Kiosk – Located inside Robinson Mall between JCPenney and Starbucks. Taxes due at the time of pick up. Keep Refrigerated. We need to know when you want to pick up the orders so they are prepared offsite. For an order form, contact Patience at patience@greenapplebarter.com.